We offer the following trips and prices: 6 to 11:30 a.m. for $200.00 per person, per charter; 1:00 to 6:00 p.m. for $200.00 per person, per charter; and 6:00 a.m. to 4:00 p.m. for $300.00 per person, per charter. Full day Silver Trips for $185.00 per person. Lunch can be made available for an additional cost and with prior notice. 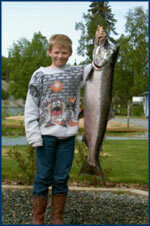 We will be more than happy to build you a custom package for your Alaskan experience. Packages can be arranged to include, flight seeing, fly out fishing, Halibut fishing, fly fishing for Rainbow Trout and even Salmon fishing on many other rivers. It is hard for us to be able to decide your likes and dislikes, so let us build you a package that you design. Please call or e-mail us for a quote on the package of your dreams! A non-refundable deposit will be taken at the time of booking in order to confirm your reservations. All no-shows will be charged for the remaining balance of their trip on the day of the scheduled trip unless prior arrangements have been made. 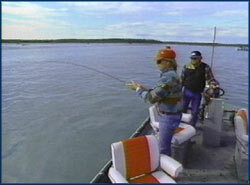 During King season there is no fishing from a guide boat allowed on Sunday's or Monday's on the Lower Kenai River.